New SSCS installer/technicians benefit from the experience of their peers. If you read this blog or are otherwise familiar with SSCS and our longstanding reputation for excellence, you know that our technical support department plays a central role in the positive perception of our company. Our approach to helping customers is in-depth and personal, whether it’s assisting on the phone or out in the field getting new operations up-and-running. Our support department is well-tenured, and their years with the company contribute to their thorough understanding of the technology SSCS provides, but we also regularly hire new techs. What’s it like for a new SSCS technician walking into a c-store to perform their first installation? We caught up with one of our newest support techs and asked. Did going out in the field differ from how you imagined it? You feel a little pressure going out for the first time because SSCS has a proven record of excellent service and you want to live up to the standard. You don’t want to blow it! But the support team does an excellent job of preparing you with standardized processes and procedures, and they made sure I had a few months of phone support under my belt before I journeyed out into the field, which also helped. In addition, I was paired on the job with a senior technician. It was the best kind of on the job training and got me up to speed quickly. I could be a productive asset to the customer instead of simply being an observer watching other people set up. So to answer your question, I would have to say my contribution was more extensive for a first-time installer than I thought it would be. What was most challenging about the experience? The third day, which is the day the installer is responsible for training the customer on our software, was the most intimidating part of the process. But after I watched the senior tech begin the process, I realized it was relatively simple given my initial SSCS training and the months of experience I had under my belt doing phone support. The Computerized Daily Book, our flagship back office software, is set up to be operated in a linear fashion, chronologically. That helped, too. There are a couple of things. First is the confidence I got by working side-by-side with a seasoned SSCS professional in a real world scenario. Second is seeing, firsthand, the beneficial impact our solutions have on the customer. Technology opens a new world of possibilities for their businesses and it’s nice to be part of making it possible. 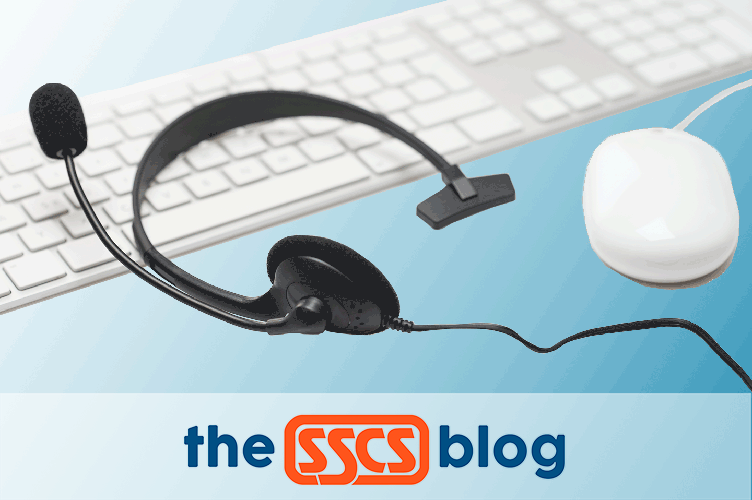 There’s a bond between SSCS and the customer, a connection that for many of our users lasts for decades. It’s energizing. I look forward to my next installation.